I use this product on the days when I want a little bit of coverge, but don’t want to waste my precious Chanel foundation. Although it’s in my ‘January Favorite Beauty Products’ post, I noticed a few things that may bother you. First of all, this product is marketed as a BB cream and I don’t think this is correct. Blemish balms are very popular in Asia, and they were supposed to whiten/brighten your skin, cover your scars, moisturize, protect your skin from the sun, smoothe fine lines, and so on and so forth. 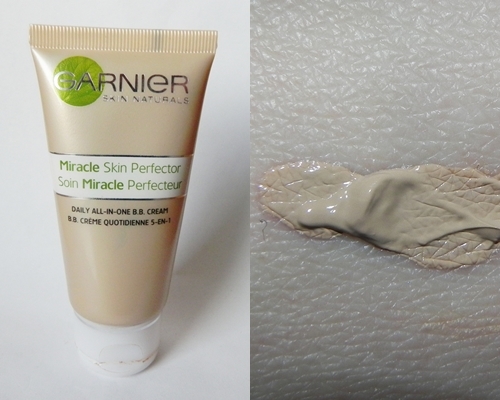 This product does have some similar qualities, but I would say it’s more like a tinted moisturizer. Anyway, it has SPF 15, it does moisturize your skin, and it does even out your skin tone, but it definitely doesn’t cover all the discoloration and blemishes (I still have to use concealer even though my skin is not that bad). For me, it works best when I apply it with a stippling brush and put on some powder afterwards. 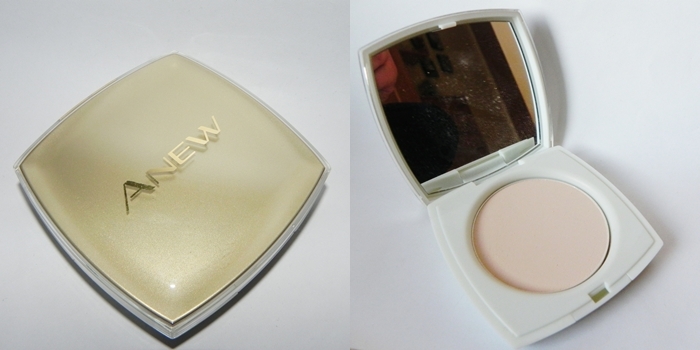 There is no way I could use it without a powder, because it is and looks very oily. I have combination skin (dry cheeks and oily T-zone) and it works great on dry skin, but looks terrible on oily. Some powder over it does the trick, though. There is one more thing I need to mention: colour. I have the lightest shade, but it is quite dark as you can see. 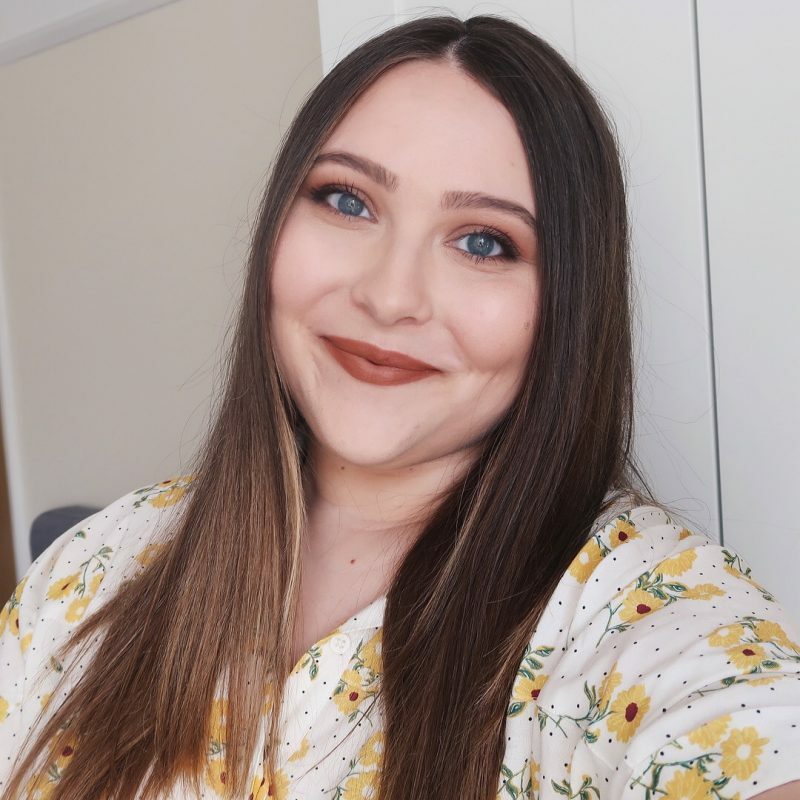 I’m not pale – my skin looks pale on that photo because of the flash – so it works fine on me, but I would definitely stay away from it if you have very light skin. My skintone is warm, with a yellow undertone, and this blends perfectly into that colour. I’ve never been a big fan of powders, as they always made my dry skin look really patchy and flaky, but this one is terrific! I put it over my foundation with a kabuki brush, and it really does its job. It perfects your skin and stays on for a really long time (I never have to re-apply it). It also matches my skintone, which is great as well, because my old ones all made me look either yellow or white. I have it in the colour ‘Soft Beige’. Let me introduce you to my go-to winter lipstick. I love this thing! 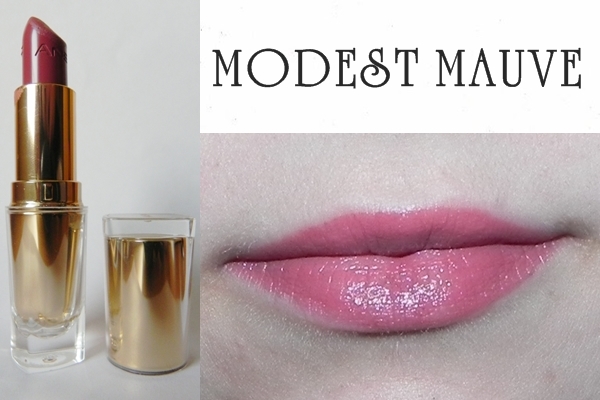 The colour is really chic, it’s creamy, moisturizing, has no yucky taste or smell, and is even great for chapped lips. Ohh, and the packaging is also gorgeous. Doesn’t it look expensive? All in all, I really can’t say a bad thing about this one. I’ll definitely re-purchase it when I run out of it. Yeah, the bb cream is quite tricky. I made it work for me, but I doubt that I'll purchase it again. I'll try to look for some good tinted moisturizers instead.